There’s a certain nostalgia to old school JRPGs, but Lost Sphear is thoughtful enough to remember to make it special. With its emotive premise of watching all that you hold dear disappear, this literal take on loss somehow manages to keep things from getting too heavy, with the introduction to the cast being fairly light-hearted most of the time in this demo. 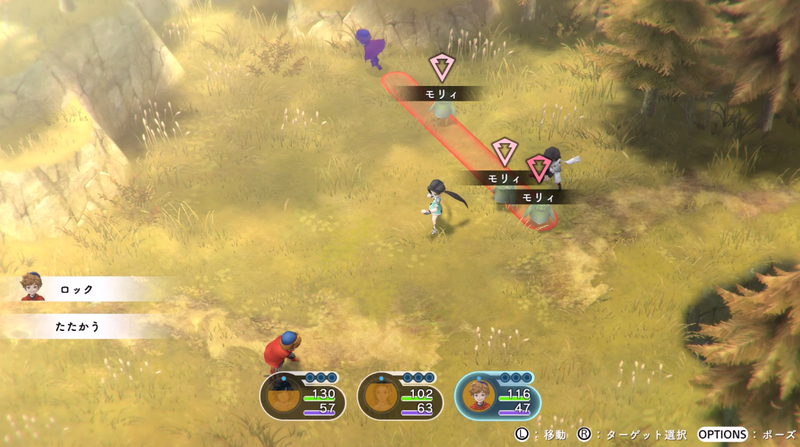 This first look at Lost Sphear showed me a peek at the main objective of recovering the lost parts of the world and a new take on the active time battle system, and both seem interesting enough to make me think Lost Sphear is more than just its emotional premise. 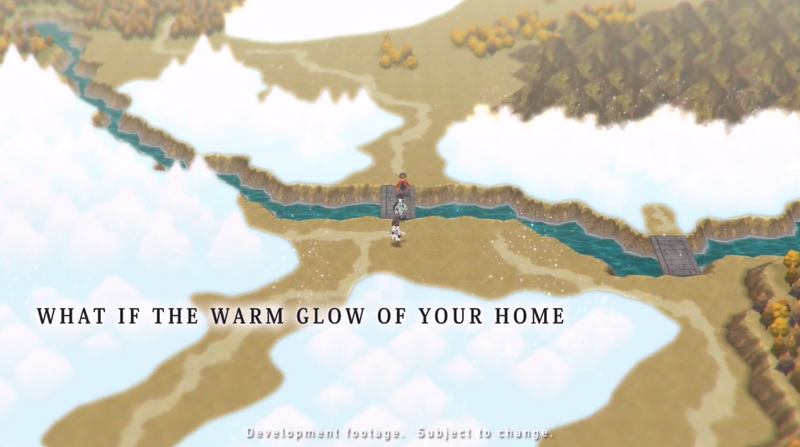 If you’ve seen any of the English Lost Sphear trailers, you’ll know it’s a story of loss and a world slowly disappearing. The main objective of Lost Sphear seems to be recovering memories that unlock the areas covered in fog and this is done during the character’s journey into the many places in Lost Sphear’s world. From the first trailer, it seemed like Lost Sphear could be a sad game, but in the Japanese demo there were a lot of surprisingly light-hearted moments thanks to its cast. Lost Sphear’s cast of heroes Kanata, Lumina, Locke and the mysterious Van share a fairly light dynamic, with characters like the reliable big sister type Lumina and the amusing and carefree Locke adding silly banter along the way that genuinely made me grin. Even characters that are a bit more reserved like Van fit into the group and with main character Kanata’s balance of fun and seriousness, Lost Sphear has a good balance of both and I was glad to see that despite its sad premise, it looks like it’ll be enjoyable. Another thing I was pleasantly surprised about was its take on an Active Time Battle system. Lost Sphear adds strategy to the system by using movement and attack direction, which can give advantages in battle. You can move an archer to be in line with multiple enemies and hit them all, which encouraged me to put thought into my turn rather than just racing to get my attack in before the enemy did. There was also a skill system and while I didn’t totally get the hang of it from not understanding some of the Japanese, it seems you can charge up to be able to unleash a stronger skill attack after a few turns doing normal attacks, depending on the skill. The demo only included a few basic magic attacks that took a turn or two to charge up, but I do wonder if bigger skills will take more time in the full game. Skills aside, since I’ve been into directional mechanics lately, Lost Sphear’s ATB system was one I liked getting into and as I played through its minor boss battles, it became one I wouldn’t mind playing again. There were a few quality of life features in Lost Sphear that I really liked and depending on what language you play it in may also appeal to you. For dialogue, there’s a handy text rewind feature which ended up being a god-send when I realised I’d misunderstood something in the Japanese and it flows nicely as a way to catch up on anything missed. Also if the dialogue has finished, but you forgot or misunderstood where you’re supposed to be going like I did, there’s a party chat to talk to party members with that will usually tell you where you need to go, while also maintaining the feeling the party having a casual conversation while walking around. And conveniently, whether you’re playing on a home console or a portable one, there are both traditional save points before big events and also a quick save function to make sure you can jump in and out at anytime, which since I read slower in Japanese than English I greatly appreciated. No matter what language you play in, Lost Sphear’s visual style and gorgeous soundtrack are a good cherry on top of the pleasant experience and I’m glad to know that if I decide to continue Lost Sphear in the full Japanese version or in January when it comes out in English, these quality of life additions mean it’ll be easy to pick up again. 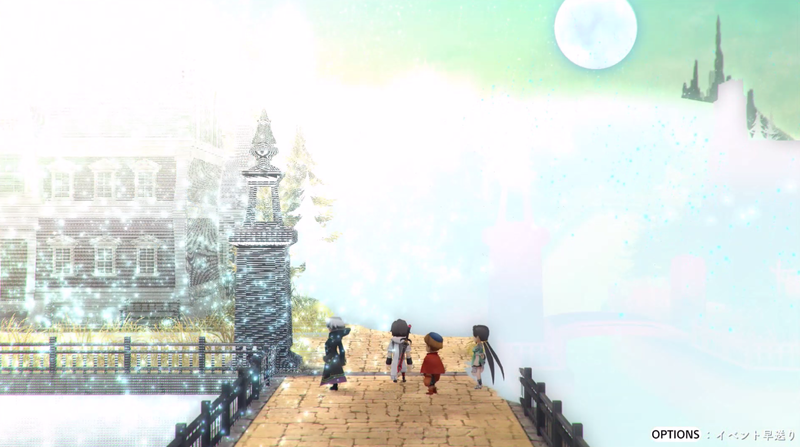 Lost Sphear is the story of loss it promises, but also a story of young amusing friends on an adventure to uncover the mystery of what’s going on, which is much more enjoyable to me than just playing a sad game. Its updates to the ATB system make it a much more engaging and strategic experience, and as someone who usually prefers slower turn-based battle systems, the strategy incorporated makes it much more appealing. Lost Sphear will be one that I’m sure will come to mind when its January release date rolls around and although it's surrounded by other games I might play before it, it is one I want to pick up eventually to find out what becomes of its charming characters and world. Are you interested in Lost Sphear? And if you played I Am Setsuna (I missed that one D:), does Lost Sphear look similar?